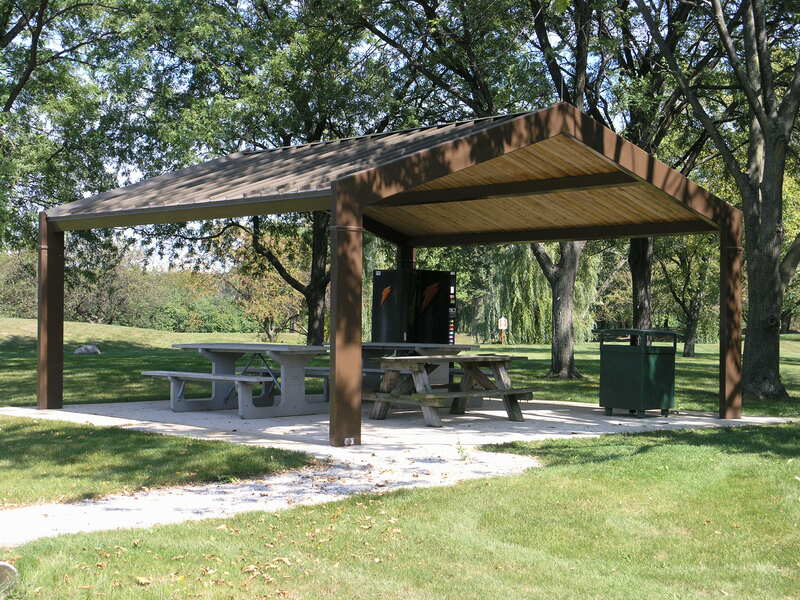 Biltmore model shade structure with columns placed on the outside corners of the structure to maximize interior space. The recessed roof of the Biltmore model creates a contemporary, uncluttered design that complements many architectural styles. Columns are placed on the outside corners of the structure to maximize interior space. • Measured from outside to outside of frame (varies slightly along eave). 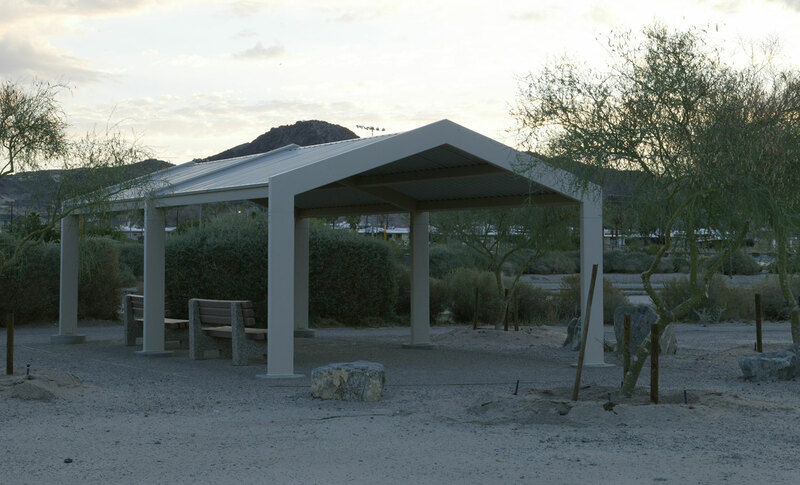 The top photo is a 20′ x 20′ Biltmore model shade structure at Cactus Park in Scottsdale, AZ. 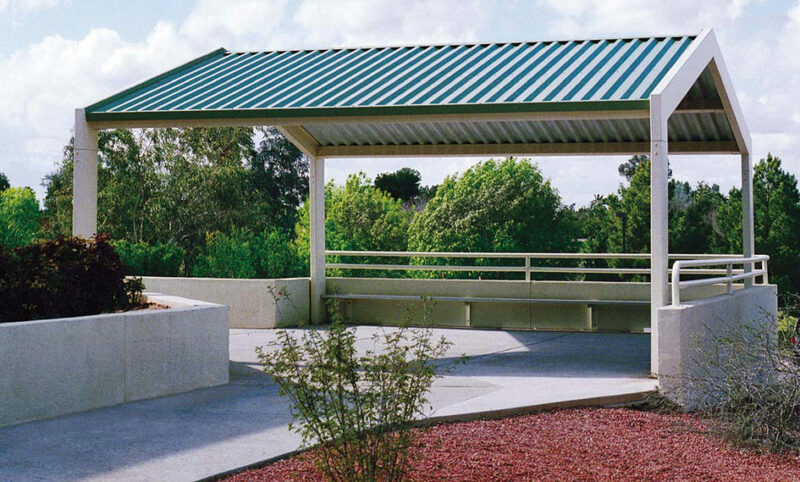 The HR-36 steel roof is Hemlock Green color.